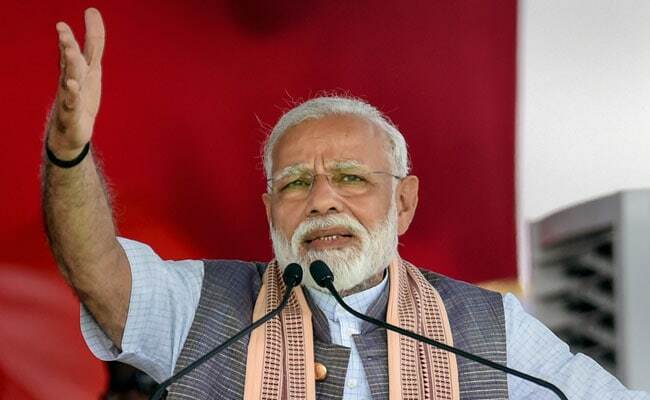 Speaking at a poll rally, PM Narendra Modi also said this election will decide if nationalist forces will rule the country or those who want to help the "tukde tukde gang" by scrapping sedition law. Speaking at a poll rally, PM Modi also said this election will decide if nationalist forces will rule the country or those who want to help the "tukde tukde gang" by scrapping sedition law. "You gave me a chance in 2014. I brought them (Gandhis) to the doors (of jail) and if you will give me another five years, they will go inside," PM Modi said. Addressing a poll rally in Maharashtra recently, Mr Gandhi had said, "I have a question. Why all the thieves have Modi in their names whether be it Nirav Modi, Lalit Modi and Narendra Modi? We don't know how many more such Modis will come out."